A 19-year-old woman admitted Monday she tried to poison her 11-week-old niece by putting crushed Excedrin tablets into a bottle of breast milk. Sarai Rodriguez-Miranda pleaded guilty in Allen Superior Court to attempted murder. As part of a plea agreement, she could be ordered to serve up to 25 years behind bars when she is sentenced May 18. Attempted murder carries a sentencing range of 20 to 40 years in prison with 30 years being the standard sentence. 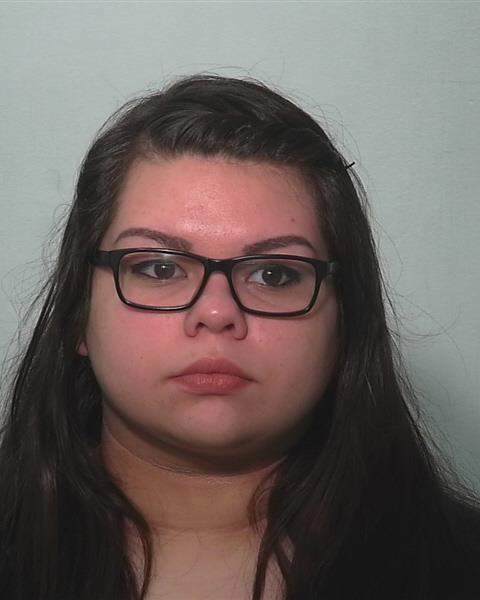 Rodriguez-Miranda was arrested by U.S. marshals in Michigan after she was charged in September. The crime occurred in January 2017. “I poisoned a baby bottle with a lethal dose of acetaminophen,” she told Allen Superior Court Magistrate Samuel Keirns when he asked her to describe the crime she committed. She also told the magistrate she is on medication for anxiety and depression. Court records said Rodriguez-Miranda was angry that her mother was allowing her brother, his fiancée and their 11-week-old daughter to live with them and stay longer than expected. Rodriguez-Miranda's mother found text messages the morning of Jan. 12, 2017, between her daughter and her daughter's boyfriend on a cellphone both she and her daughter used discussing how many pills it would take to kill the infant. “I'm gonna crush up some of these pills since she decided they can stay longer and kill their baby,” Rodriguez-Miranda wrote. Rodriguez-Miranda's mother obtained bottles of breast milk after reading the texts and put both bottles into a plastic bag. The bottle with the crushed pills had a greenish circle at the bottom and was a different color from the untainted bottle of milk, according to court documents. The substance was later identified as containing acetaminophen, caffeine and aspirin, substances in Excedrin. A forensic toxicologist determined the taller bottle tested positive for the equivalent of nine tablets or capsules of Excedrin in 112 milliliters or 3.8 fluid ounces, enough to kill an adult. Rodriguez-Miranda wondered in one of her texts what happened. The baby was taken to a hospital to see if she had been poisoned. She had not. When Rodriguez-Miranda's mother asked her daughter to stay to talk to police, she fled, court records said.